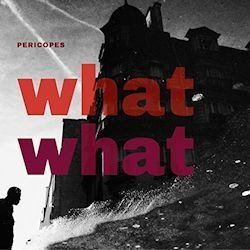 Pericopes, the duo of Emi Vernizzi (soprano and tenor saxophone) and Alessandro Sgobbio (piano), have recorded a number of albums but this latest one was actually taped way back in 2013. The band’s name means something along the lines of an extract from a text, especially a Biblical text, and if that implies a spiritual dimension to the music, I suspect it is coincidental. The brief promotional material that came with the disc suggests instead an intimate collection of melodic fragments and silences in this their sixth studio album. Both instrumentalists are hyper-articulate and the first track, La Danse Des Holothuries also reveals the pianist’s exceptional, rather Classically-based refinement of touch; indeed, as the track opened I was reminded of Bach-Marcello. But it develops momentum with Sgobbio generating increased drive and his colleague Vernizzi wielding an acerbic soprano before the music relaxes and returns to the opening elements in a kind of ABA structure. The rolling piano figures of Tzukiji and the Charles Lloyd-like tenor soon dissolve into piano reverie and ambient electronica – it sounds like sampled speech – before both instruments emerge intoning in the suddenly expanding acoustic. Each track, except ironically enough the title track – an electro-infused squawk-out with honking overdubs - stretches out to allow the instrumentalists time for their intricate exchanges, whether in the colour-glinting slow expressive interchanges on Cocteau or the asymmetric dance patterns of Danza Di Kuwa where Sgobbio takes the piano thrashing down to its sulphurous depths. One of the most interesting tracks is Martyrlied in which it takes three minutes for the piano’s repetitive figures to alter, over which the tenor reflects and grows more fractious and edgy until a reflective, rather posthumous lyricism – see the track’s title again – leads to a close. This is one of a number of pieces with strong architecture, in which inner contrast and resolution play a profound part. Things never trail off and one always feels one has pursued a strong narrative. What this disc also embodies is a fine sense of dynamic variations, quiet lyricism, well placed piano figures, variations of tempo and mood, and supple saxophone curlicues – all of which applies to Orat 29. This enjoyable album has waited five years for release, but it’s been worth the wait.